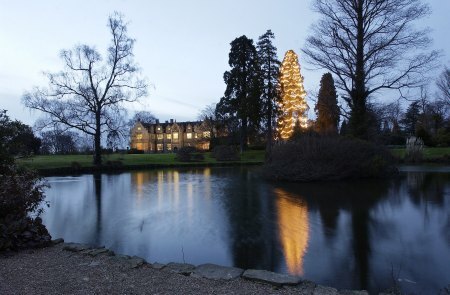 The lights on the tallest Christmas tree in the country will be turned on this Friday, November 27, during the Big Switch On ceremony, which is free to the public, at Wakehurst Place near Haywards Heath in Sussex. The 113ft redwood tree is decorated with 1,800 festive lights, and, once lit, will be seen from miles around, including from the air by pilots approaching nearby Gatwick Airport. Expert tree climbers from Wakehurst’s woodland and conservation team used ropes and specialist climbing gear to put up the energy-saving lights. 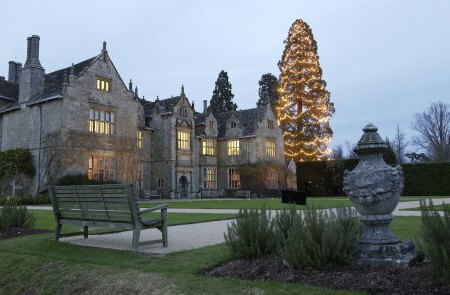 As part of the countdown to the 6:25pm switch on, a choir will be leading carols from 6pm and there will be craft activities for children in the mansion at Wakehurst 5pm-6:30pm. In addition, there will be Christmas shopping in the gift shop and festive refreshments in the Stables Restaurant and Seed Café. Following the switch on, the tree will then be illuminated daily from 4pm until January 5. Other festive events at Wakehurst include Christmas displays by floristry students at Plumpton College from December 5; Christmas lunch in the mansion on December 6 and 13; Santa in residence in his grotto in the Mansion Chapel Winter Wonderful 12pm-4pm on December 6, 13 and 20; and carol evening, with music provided by the Salvation Army, at 7pm on December 18—visit http://www.kew.org/visit-wakehurst/whats-on/Christmas-at-Wakehurst.htm for details.